With all the accompanying I've been doing with my Nintendo and Pokemon inspired crochet work, I wanted to give some of my characters their own friends. 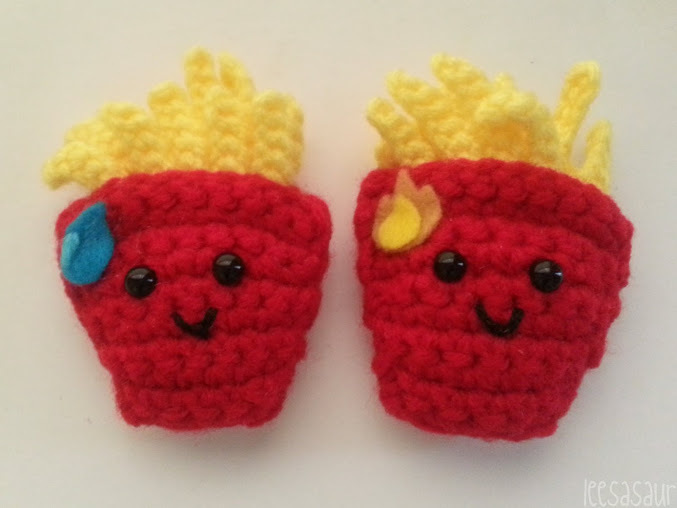 Cheesyburger is one of my favorites, so I decided he should have a fry buddy, but a fry buddy with an edge. 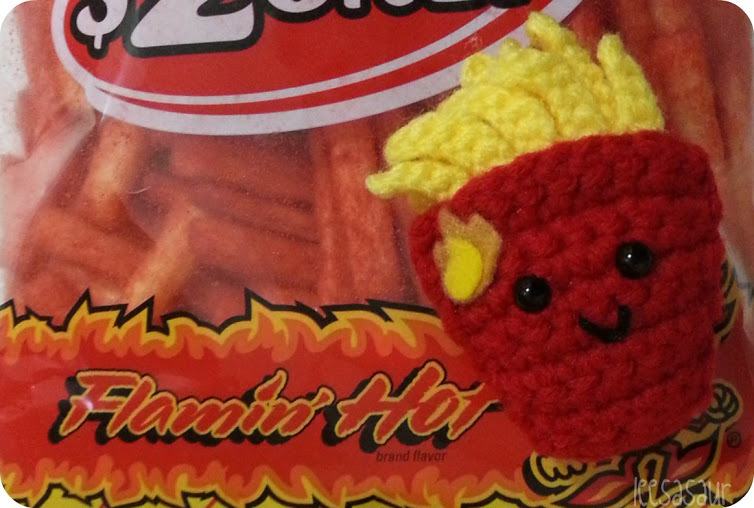 The only affinity for spicy food I have is the Flamin' Hot brand. I had my share of trials and fun with the original hot Cheetos, the Puffs, the Munchies, the Puffercorn, but the Fries are my favorite! When I lived in Washington, I could only find them in tiny bags and limited stock at the local Dollar Tree. I then became spoiled upon moving to California where the Hot Fries were in abundance, at mostly every store. 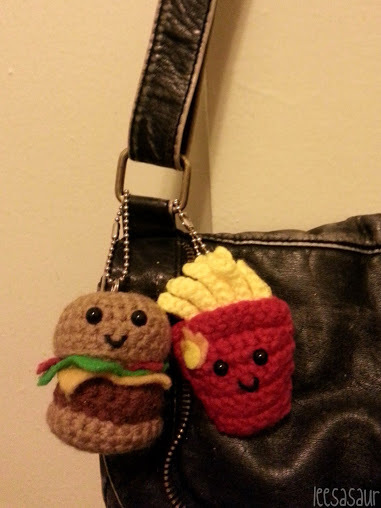 Now my Cheesyburger has a spicy new companion to hang with! 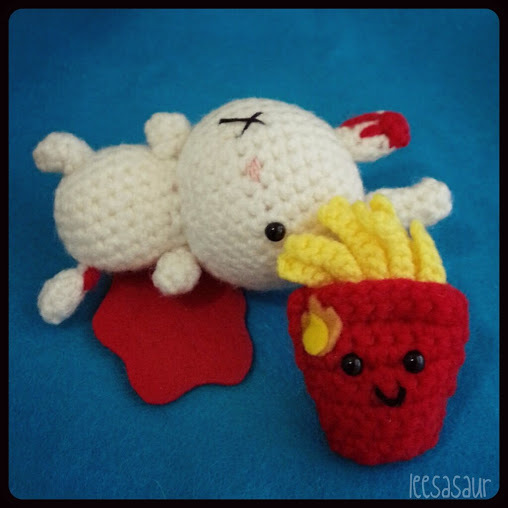 Take a lesson from bunny and know your Hot Fries limit!